One way fashion relates to the body is by physically improving or supporting the body. Throughout the 19th and early 20th centuries, people believed that women’s bodies were weak and in need of support. This support was achieved by wearing a corset, which, as we know now, actually does far more harm than good to the female body. In the FIT exhibition entitled The Body: Fashion and Physique, there were many corsets on display, one in particular, however, caught my attention: the corset meant for pregnant women. This piece was particularly intriguing to me because of the mere idea that people once expected women to continue wearing corsets, even when pregnant. 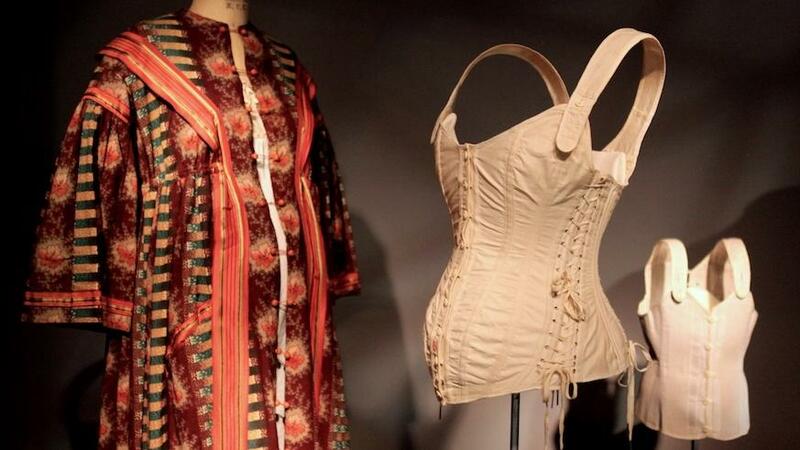 This sparked me to do some research on the subject, at which point I discovered the alternate purpose of the corset, which was not only to shape the body according to the current beauty standards of the time, but also to support women’s backs and promote good posture. This discovery led me to think about the different ways today’s society continues this idea that women’s bodies need to be changed or improved. As we discussed in class on April 9th, the idea that women need to look young and thin to be healthy and happy is a misconception that has been perpetuated from generation to generation and is very evident in beauty advertisements today, particularly ones that are fashion or cosmetics-related. It is not uncommon to see products all over stores and advertisements that aim to make women appear slimmer or include the words “anti-aging,” both alongside either doctor testimonials or visuals that appear scientific. Although fashion does seem to be moving towards being far more accepting and embracing of all the characteristics of different women’s’ bodies, you do not have to travel far from your home to be reminded that we as a society still have a long way to go.